Empower your organization with low-code apps that streamline your business. Build your first application today. While we are in the midst of an era of automation there are many decisions that still require human intervention. The case management capabilities provided by TIBCO Cloud™ Live Apps are a perfect fit to easily and quickly implement apps to bridge the gap between things and people. Live Apps isn't just limited to automating actions between systems and people though. It can also be used to trigger actions back to the system or edge devices. Transforming data into action has never been easier with TIBCO® Connected Intelligence capabilities. 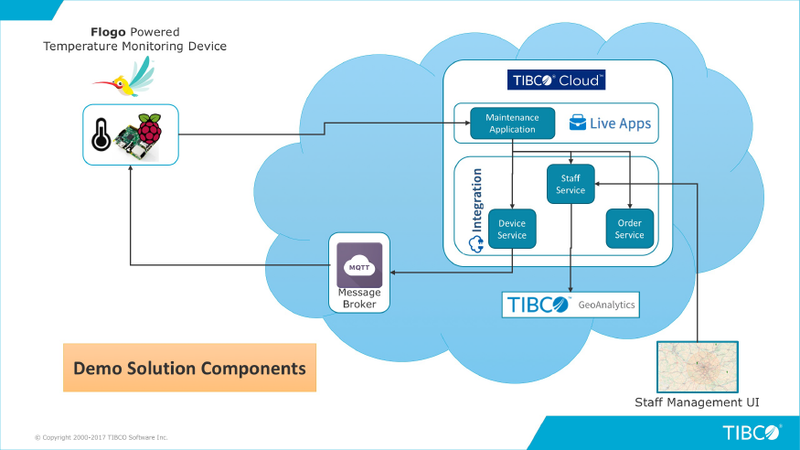 Live Apps is a low-code application development platform that provides a way to customize applications swiftly, with the capability to extend and unify existing systems through TIBCO Cloud™ Integration—exactly what is needed for successful digital transformation. Watch as TIBCO Cloud Live apps is used to create a smart IoT application to answer business needs in manufacturing and equipment servicing. With the breadth and depth of capabilities available, organizations need a means to track every issue through to final resolution to not only ensure the issues are handled correctly but also have visibility to optimize all of the operations and processes in-between. With the low-code platform that TIBCO provides, you can rest assured that optimization algorithms will notify and dispatch the right staff best located and with the best skill set to quickly resolve the problem. With the predictive analytics powered by TIBCO your staff will know before the problem occurs, allowing for a resolution before any adverse impacts on business results. Operational excellence and superior customer experience are now within reach.